Technology is changing at breakneck speed. Today’s innovation quickly becomes tomorrow’s standard fare; however, technology is nothing but a hollow vessel, a novelty, unless it is applied in a proper context to improve operations, create efficiencies, or help people. Mandelbaum Salsburg’s perspective regarding Emerging Technology and the lawyer’s role is unique. Our multidisciplinary team is industry neutral – whether it is tied to the emergence of Cannabis as a medical and recreational gamechanger on American society, or cybersecurity and blockchain related technologies focused on protecting the confidentiality, privacy, authentication and integrity of data exchange, our experienced team provides assistance and knowledge across the comprehensive product and business development lifecycles. Our attorneys are experts in providing and protecting the startup company with all of the resources and foundational support necessary to ensure the business risks have been mitigated, removed or otherwise addressed. 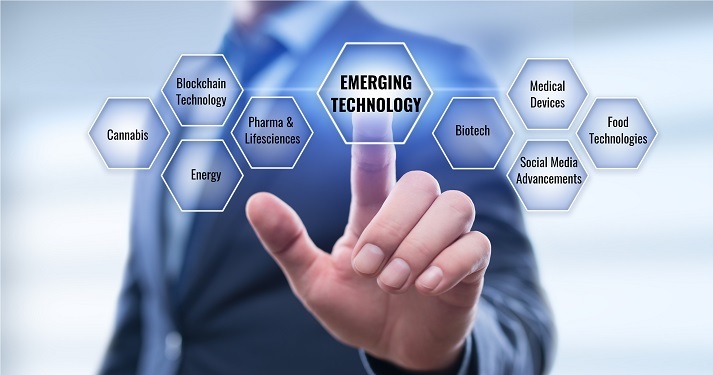 We position each emerging technology company so that as it grows, the structure is in place to raise capital, minimize taxes, ensure proper Intellectual Property protection, and adhere to regulatory requirements ranging from employment issues to SEC compliance. The team is sensitive to the financial pressures facing emerging businesses, and recognizes the importance of limiting liability while allowing the company to aggressively compete and succeed in a fast-paced marketplace. Mandelbaum Salsburg sees its role as legal counsel to be one of facilitation, rather than restraint. We partner with emerging businesses to not only offer sound legal advice but also to offer access to resources in the financial community and across the business spectrum. To receive current news and events concerning our Emerging Technologies Practice Group, please provide your contact information.